Varathane Diamond Wood Floor Finish provides the ultimate protection for your wood floors. Varathane Floor Finish is formulated with patented Aluminum Oxide Nano Technology to provide the best scuff and scratch protection available, as proven by independent lab testing. It is ideal for high traffic areas, and stands up to years of abuse. From children's toys to pet scratches, nothing gives you better protection for your wood floors. Over twice as durable as traditional wood finishes, Varathane Premium Floor Finish provides a warm golden glow to your floors and has the fastest dry times of any oil-based floor product. Minwax<sup></sup> Wood Finish is an oil-based wood stain that provides long-lasting wood tone colour. It penetrates deep into the pores to seal and protect the wood. Minwax<sup></sup> Wood Finish is available in 19 wood tone colours and can be used to enhance any bare or stripped wood surface. It is ideal for staining furniture, cabinets, doors, trim, moulding, and hardwood floors. 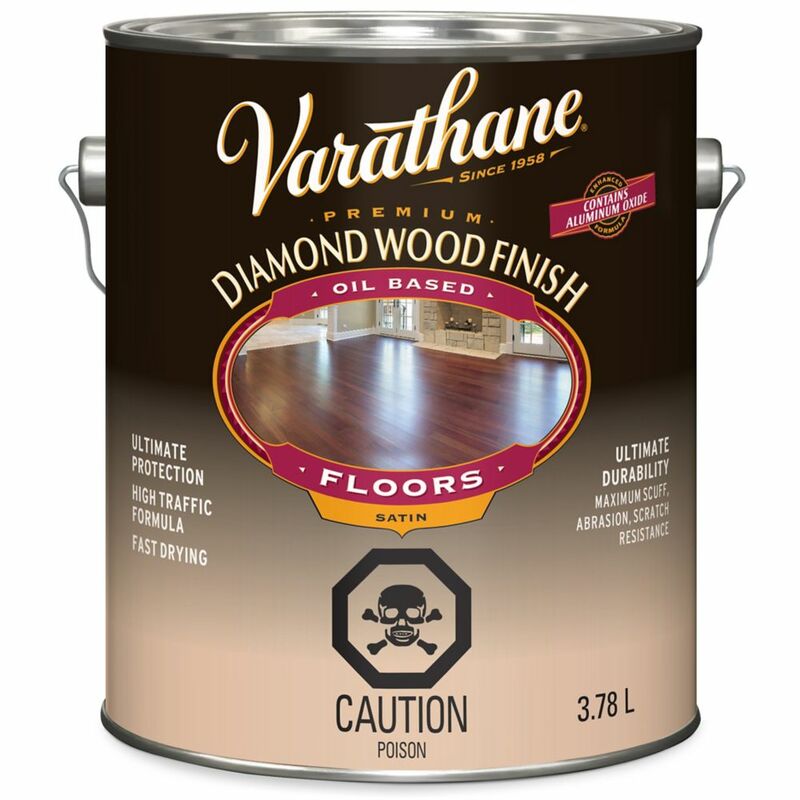 Varathane Diamond Wood Finish Oil Based Floors Satin 3.78L Varathane Diamond Wood Floor Finish provides the ultimate protection for your wood floors. Varathane Floor Finish is formulated with patented Aluminum Oxide Nano Technology to provide the best scuff and scratch protection available, as proven by independent lab testing.